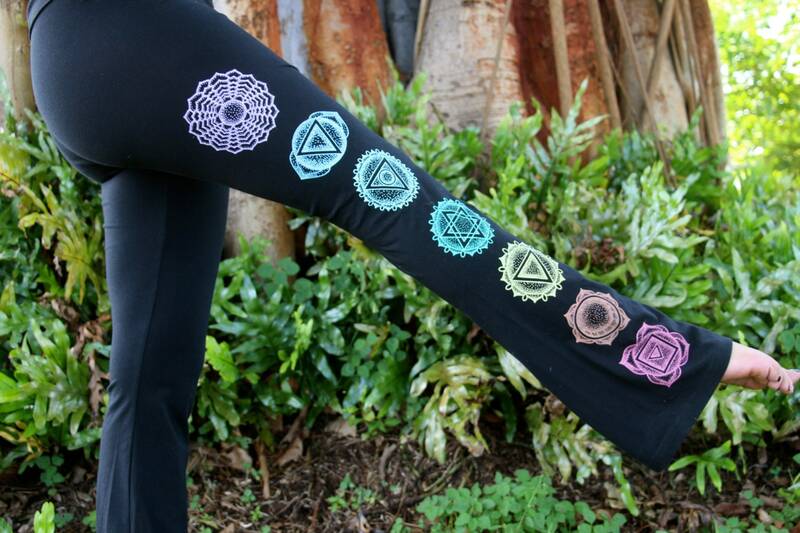 Δ Dotwork CHAKRA design hand-drawn & silk screened by Grizzy using eco-friendly, water-based inks. Δ Design runs along the side of right leg. 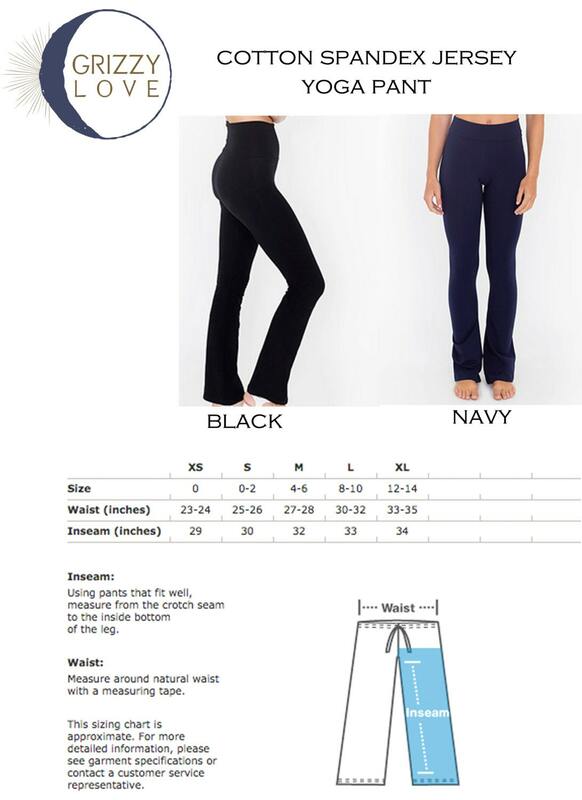 Δ Fold over waist and flared leg make it a great pant for yoga, dance, fitness and lounging! Δ Available in XS, SMALL, MEDIUM, and LARGE. I can also print this design on a different color tank (see last photo for additional color options) and your choice of print color. If you choose this option in the drop down menu, please be sure to include a note in the 'notes' section of your order with specific color & print instructions.